You are doing a lot of hard work to keep your small business up and running. Why not you assign your smartphone or tablet to work for you by choosing the most productive apps for business? Desktop apps are always used to be with you at office. Today, you no longer need to stick to your desk when you have a power in your hands. Here are some of the basic Android apps that every business owner should have. 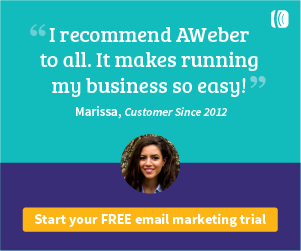 Want to keep your email marketing campaigns well managed and organized? MailChimp is your best partner to do it from the scratch. This app can let you do anything that is possible from a desktop. Advance time scheduling, visual design tools, Analytics, and automation makes it one of the most powerful business apps for you. QuickBooks is the solid accounting tool to keep tab of your finances and manage your accounts. This android app is fully-functional mobile variant of QuickBooks desktop. It is a mobile companion with all the best things of QuickBooks for desktop, including sales tracking, sending out invoices, and reviewing payments when you are out of town. It comes with free 30-day trial. Post trial period, it needs subscription starting at just $12.95. It is a solid video calling and conferencing app to meet with your clients or employees wherever you go. It is really a service synonymous with video chat. You can make video calls with front camera. Simply connect with users on any device. You can easily conduct a staff meeting when you are away over Skype. For email and file transfer with your potential clients and employees, there is virtually no alternative to Gmail. It is trusted by billions of users worldwide. It is by far the undisputed leader in the serious emailing. Gmail comes packed with various other services and it is usually the strongest cloud service to import files from email to other programs and personal devices. It is well connected to your devices and helps in data management to a great extent. Gmail automatically saves your email when you are writing in case your battery is getting low, without even letting you notice it. It lets you conduct conference calls with around 400 callers. Not only that, you can schedule your calls on the go or simply start a call with just one click. To add more members to your library, simply invite your contacts from address book. Its new Time Zone feature serves callers across the world. Do you want to share the agenda of your meeting? Simply add an agenda. Microsoft Office includes Word, Excel and PowerPoint for your mobile devices. You can use it on your android device to edit, create, view and share your office data. You may simply edit Word docs coming through email and make PDFs. If you have Office 365 subscription, you can simply connect your account for cloud storage and real-time collaboration. It is another superb option to store files and documents on the cloud. You can backup and access these files from anywhere you go on your device with 4G or Wi-Fi connection. Every edit made in Google Drive document is automatically saved. Evernote – Capture, organize, and share notes from anywhere. It is believed that elephants never forget. If you’ve offended one in your life, bad news for you! It is probably the reason Evernote got that kind of logo. Jokes apart; this app is great if you are running a business. It is a note writing app for all the conferences and important moments in unexpected places. Organize your notes in your device using Evernote.